As part of Google’s ongoing commitment to furthering Anita’s vision, we are pleased to announce The Google Anita Borg Memorial Scholarship: Europe, the Middle East and Africa. Through the scholarship, we aim to encourage women to excel in computing and technology, and become active role models and leaders. Multiple scholarships will be awarded based on the strength of candidates’ academic performance, leadership experience and demonstrated passion for computer science. A group of female Bachelor’s, Master’s, and PhD student finalists will be chosen from the applicant pool. The scholarship recipients will each receive a €7,000 (or equivalent) scholarship. In June 2011, all scholarship recipients and finalists will be invited to visit Google’s Engineering Centre in Zurich for a networking retreat. It will include workshops with a series of speakers, panels, breakout sessions and social activities, and will provide an opportunity for all finalists to meet and share their experiences. 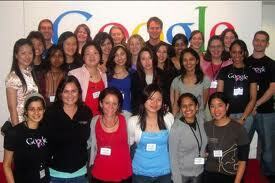 * Be a female student enrolled in a Bachelor’s, Master’s or PhD programme (or equivalent) in 2011/2012. * Be enrolled at a University in Europe, the Middle East, or Africa. Citizens, permanent residents, and international students are eligible to apply. * Be studying Computer Science, Computer Engineering, Informatics, or a closely related technical field. * Maintain an excellent academic record (e.g. a First Class Honours degree). Please complete the online application and submit all requested documents by 1st February 2011. All application documents must be in English. Scholars and Finalists will be notified in April 2011.
o Describe a significant technical project you have worked on. If you have worked on a major independent research project (such as research for a Master’s or PhD programme), please describe that work here. Give an overview of the problem and your approaches to the key technical challenges. If this was a group effort, be sure to specify your individual role and contributions. o Give one or two examples of your leadership abilities. Explain how you were influential and what you were trying to achieve. These need not be demonstrated through formal or traditional leadership roles. Feel free to think broadly and examine the many ways you impact members of your technical community. o Suppose someone gave you the funding and resources for a 3- to 12-month project to investigate a technical topic of your choice. Write a short version of a proposal, including a description of the project, your planned methodology, and your expected results. Please pick something other than the project you described for the first question. o Bachelor’s: A copy of your current academic record. o Master’s and PhD: A copy of your previous and current academic records. Two strong referral letters from individuals who are qualified to evaluate your academic and leadership accomplishments, e.g. from a professor, adviser or supervisor. For specific questions not answered on this page or in the FAQ section, please e-mail anitaborgscholars-emea@google.com. The subject field of your email must include “Anita Borg Question”. Demikian kami sampaikan tentang Google Anita Borg Memorial Scholarship 2011 semoga informasi tentang Google Anita Borg Memorial Scholarship 2011 ini bermanfaat.